Set water pan into base and fill water level between 1 and 1.5 inches deep. Place fuel burners in stand and use a match or long-tipped lighter to light at center hole. For best heat efficiency, keep lid on food pan. 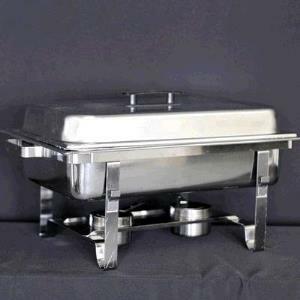 * Please call us with any questions you may have about our stainless steel chafing dishes in the San Francisco Bay Area.